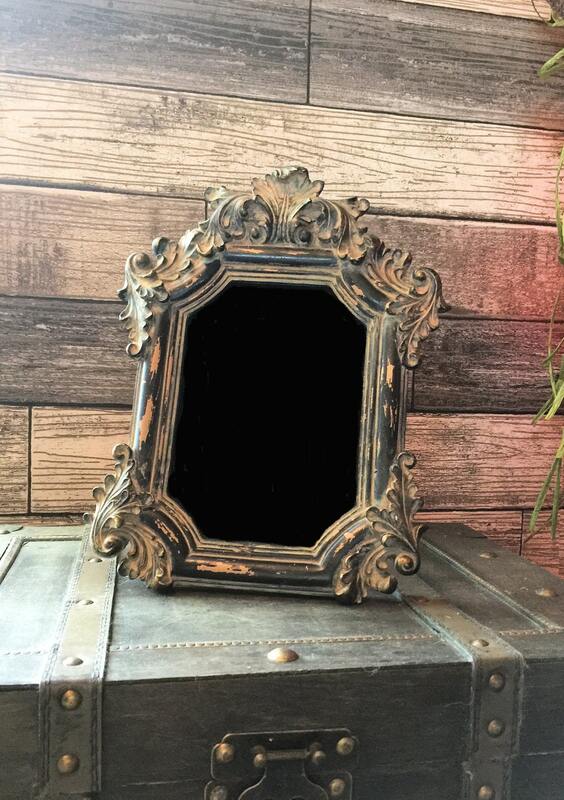 I only have FOUR of these left at the time of this posting. I cannot get anymore of these after this. 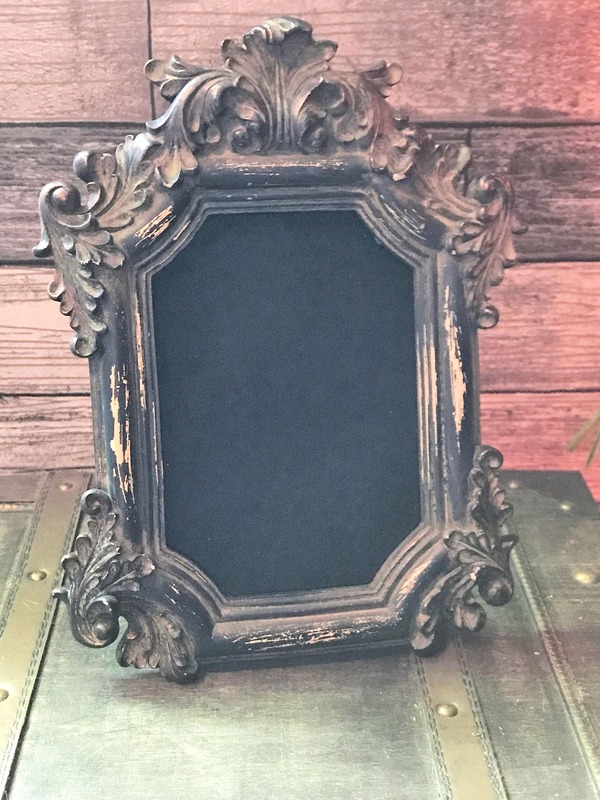 This is a beautiful scrying mirror that I have crafted from a primitive picture frame that has a worn, grunge look with delicious scroll work embellishments. 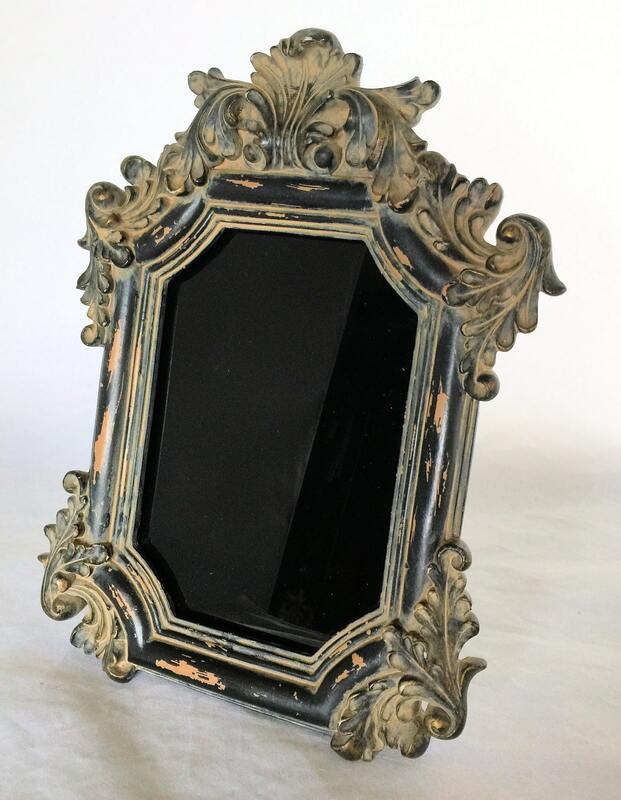 The frame of this mirror measure 10 1/2 inches at it's tallest point and 8 inches at it's widest. 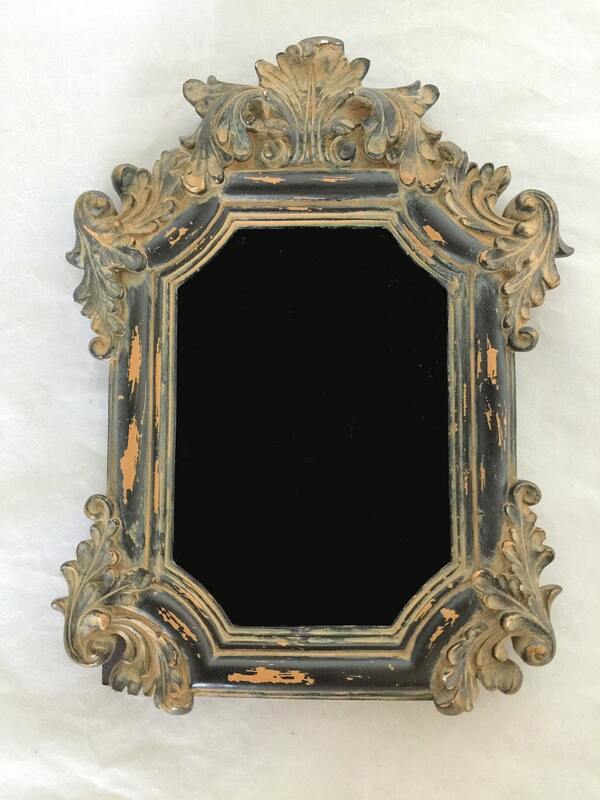 the scrying area measures 6 1/4 inches x 4 1/4 inches. 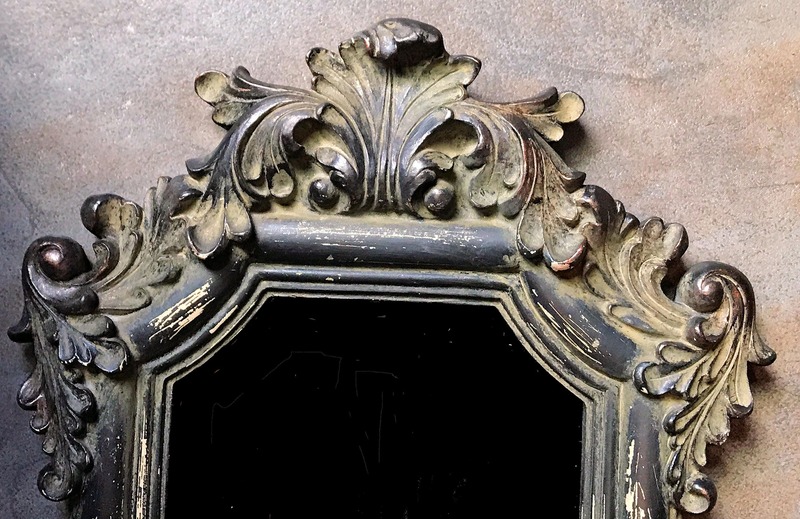 Small details, like the placement of the worn areas and shading on the decoration will vary on each mirror. Beautiful and elegant. I just love it. Exactly what I wanted!! !